Are you limited by the lack of storage that comes with a small room? Fear not, you do have options! Between the studs that hold up your house and walls lies unused space that can be converted into built-in shelves or a storage nook. Bookshelves — These could go in any room in place of shelving units. Bathrooms — Keep clutter off your bathroom countertops by building in space for a few shelves to hold toiletries. Even recessing an area for your towels or bathrobe can make a small bathroom appear bigger. 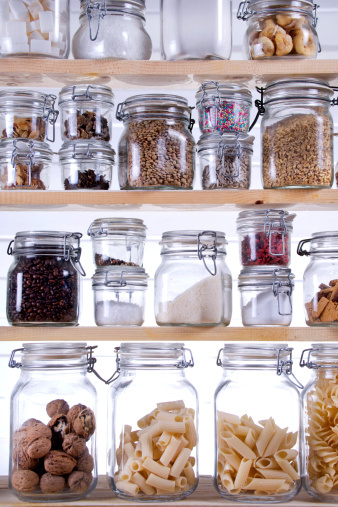 Pantries — Take a look at unused wall space in your kitchen. Shallow shelves could be used to hold canned goods, spices or stemware. You could also use the recessed area to mount hooks and hang pots and pans. Tip: Be sure to check for venting or wiring before starting this project. This entry was posted in Uncategorized by yakimarealestatehomes. Bookmark the permalink.